You may have just upgraded your computer to use DDR4 recently or you may still be using DDR3, but in either case, nothing stays new forever. JEDEC, the organization in charge of defining new standards for computer memory, says that it will be demoing the next-generation DDR5 standard in June of this year and finalizing the standard sometime in 2018. DDR5 promises double the memory bandwidth and density of DDR4, and JEDEC says it will also be more power-efficient, though the organization didn't release any specific numbers or targets. Like DDR4 back when it was announced, it will still be several years before any of us have DDR5 RAM in our systems. That's partly because the memory controllers in processors and SoCs need to be updated to support DDR5, and these chips normally take two or three years to design from start to finish. 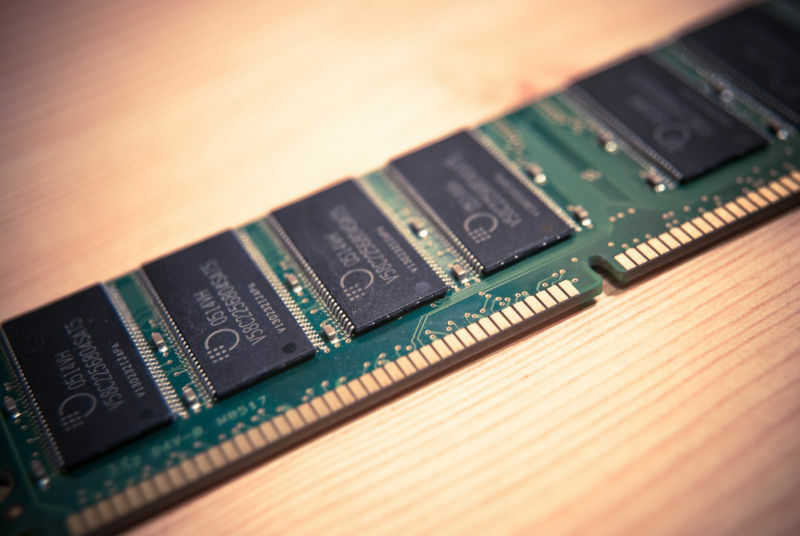 DDR4 RAM was finalized in 2012, but it didn't begin to go mainstream until 2015 when consumer processors from Intel and others added support for it. DDR5 has no relation to GDDR5, a separate decade-old memory standard used for graphics cards and game consoles. RAM isn't going anywhere in the near future, but if you look ahead a few years, you can see a potentially RAM-free future looming. Intel's Optane drives are attempting to combine the capacity, density, and non-volatility of an SSD with speed that is beginning to approach RAM's—first-generation Optane drives have about 10 times higher latency according to Intel, but that's not so far off the mark for many workloads. As the technology improves, it may well remove the need for separate pools of RAM and storage, triggering a fundamental shift in the way that computing devices work. For now, though, bring on the faster RAM.